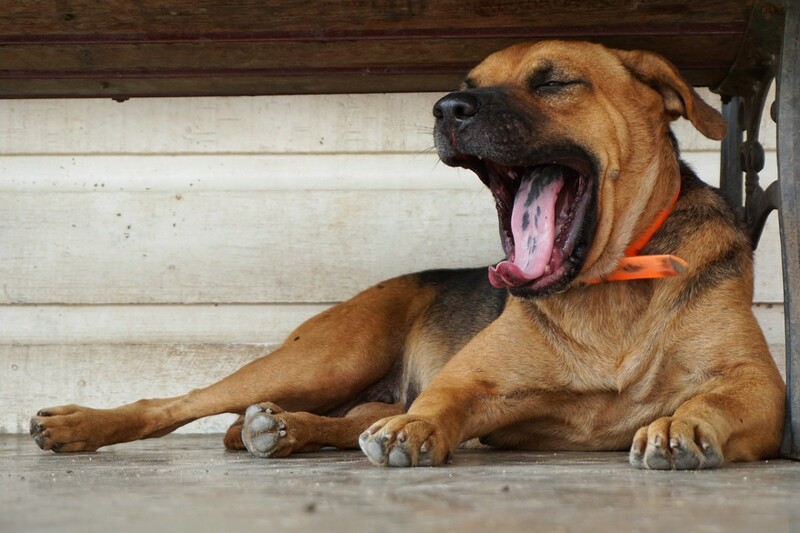 For sure you and your dog have shared many a yawn. You know the reason why you yawn. You can be bored, sleepy or tired. But did you ever consider the reason why your dog yawns? 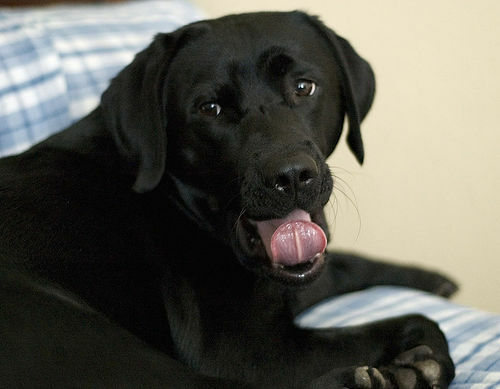 More information about why dogs yawn. 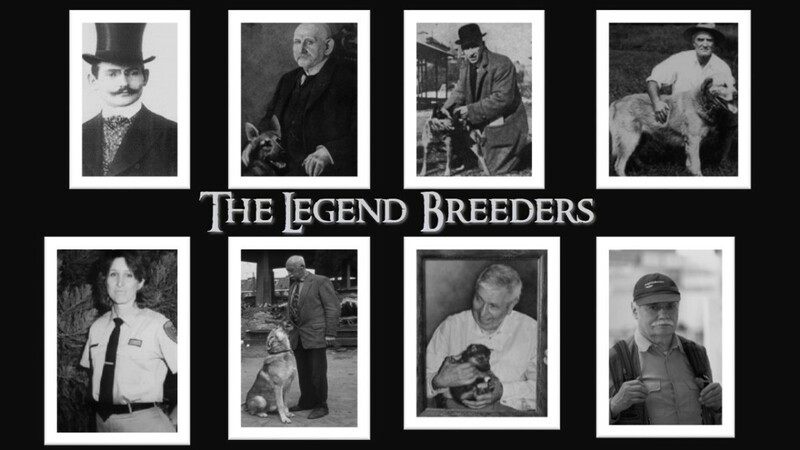 Information about dog breeds and answers to many common questions about dogs. Yawns are contagious. Notice how your yawn will set off someone else's. 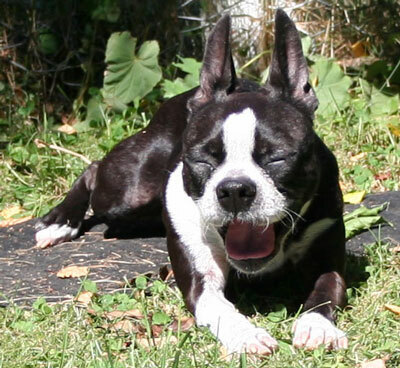 Some owners have stated that their dogs can easily catch their yawn; others aver that no matter how much they yawn in front of their pets they can never generate a semblance of a yawn. Dogs have a primitive empathic aptitude. This was the conclusion of the study made on dog's yawning. 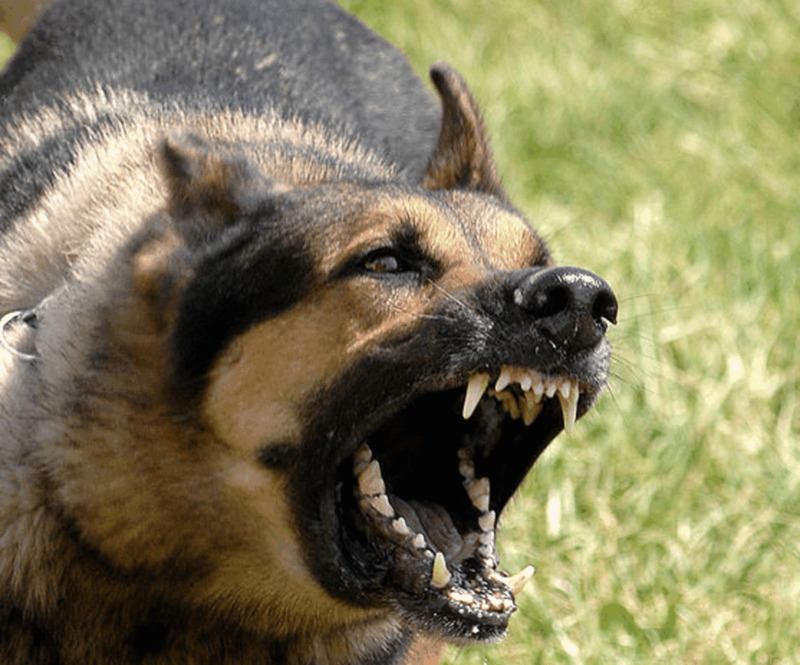 Simply, this means that the dog will yawn if it sees the owner yawning because it can identify with the feelings or the emotional situation of the master. The study has proven that dogs have an exceptional ability to grasp and understand a human's emotional situation. Dogs are highly intelligent and they are known to act differently if the master or any person for that matter is injured or sick. 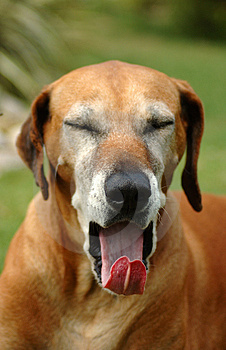 Apart form catching your yawn, your pet will yawn too to cope with other disturbing situations. 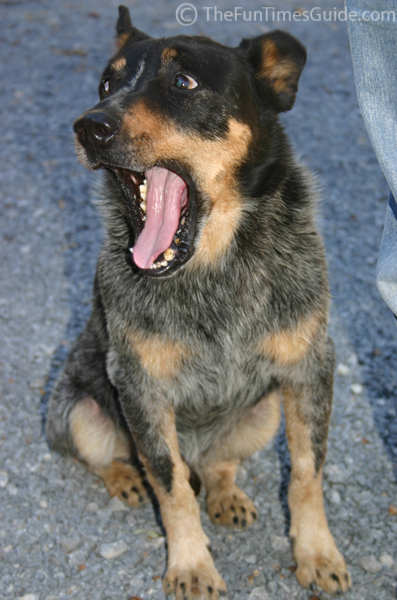 A dog in obedience class will yawn. This is a sign that the dog is bored with repetitive exercises. 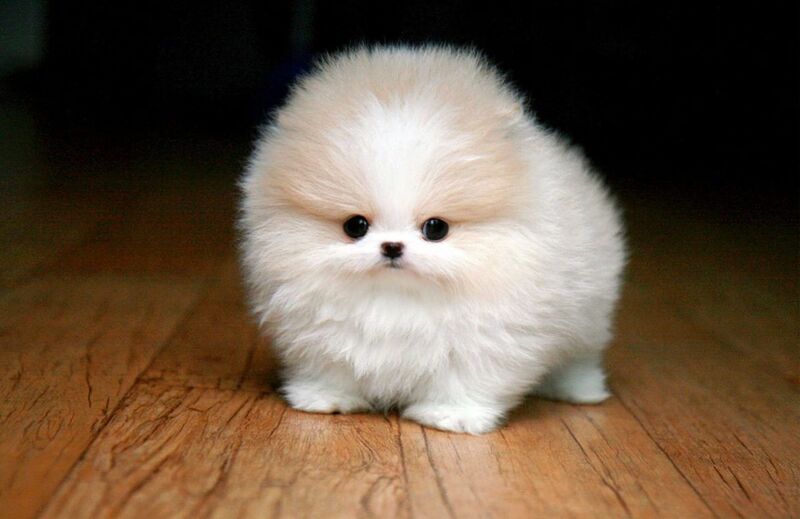 It can also mean that the dog is stressed and under too much pressure. The famous canine "eager to please" attitude may be making the dog nervous as it may really want to please the master but it does not know how. 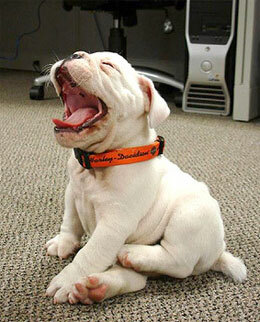 Dogs in obedience classes will yawn when they are already tired. 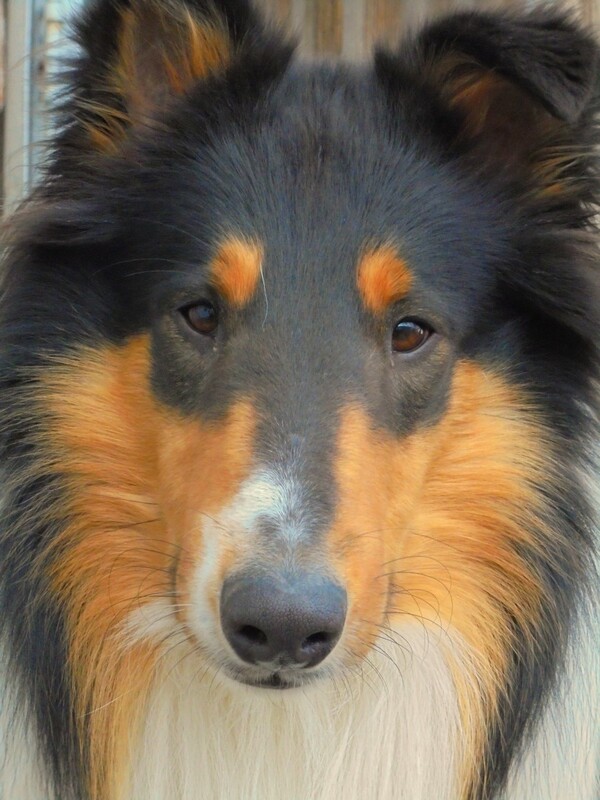 Owners should consider this fact and should not push the dog to continue with the training. Let the dog rest or sleep if it wants to. 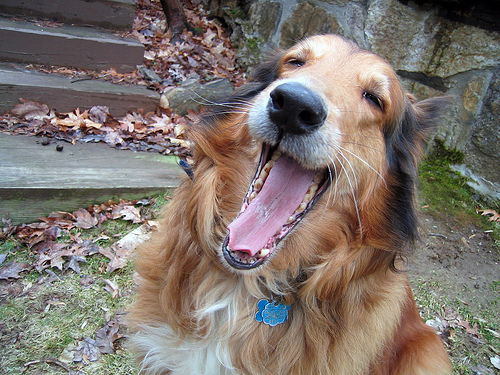 A dog in a vet's waiting room will yawn. This is a sign that the dog is bored, bored with looking at other animals and at other people doing nothing but waiting to be called by the vet. Dogs at the starting line, waiting for the signal to sprint will yawn. The dog is excited and ready to run and yawning has a calming effect. Apart from showing the master their concern by empathizing are there any benefits to a dog's yawning? Actually, since it was established that pets can be induced to yawn, dog handlers has taken advantage of this fact to relax the pet. This is an effective way to get the dog focused on the task at hand. 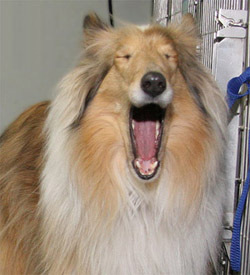 Handlers are known to make the dog yawn before they are placed on the judges' bench or on the starting line of an agility competition. The are many reasons why a dog may be eating dir including hunger, boredom, illness and lack of proper nutrition. You know the sound of a dog panting. But do you know why? Narcolepsy - Do My Dogs Have It? 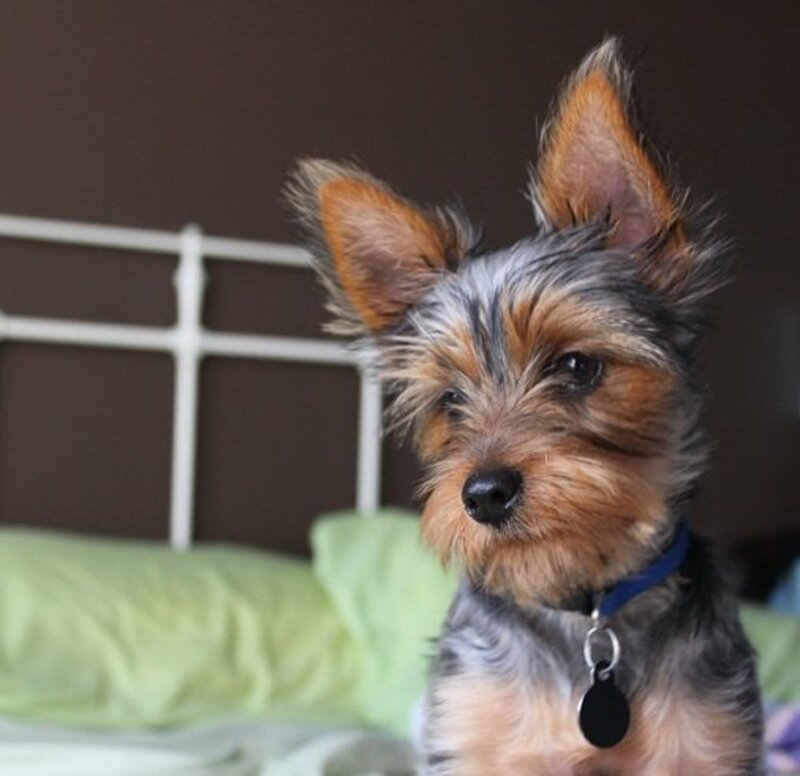 Is it Okay to Let Your / My Dogs Sleep on Your Bed? Man this was great. My dogs yawn and do all other kind of things that humans do. I somethimes think they are people.